The luxury Villas are fully self-contained; all have 2 bedrooms with lounge, kitchen, dining, and bathroom and with parking next to your Villa. 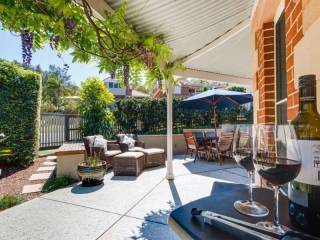 Coffs Coast Motor Inn & Villas offers value for money accommodation from overnight rooms to self-contained villas. Conveniently located on the Pacific Highway, the motor inn is close to shopping centres, cinemas, family eateries, beaches and the harbour. Coffs Harbour Holiday Apartments are ideally located only 150 metres away from the main surf beach. The complex consists of 11 fully self- contained apartments situated in a quiet location just off the main beach street. 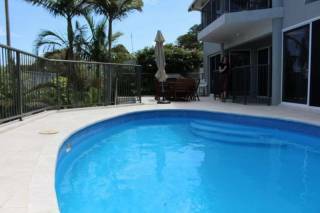 Diggers Beach Cottage is a gorgeous 3 bedroom beach cottage, set in the beautiful suburb of Diggers Beach on the Coffs Coast. It's only a short 50m stroll to Coffs Harbour's most popular beach. This is executive holiday accommodation at its very best. 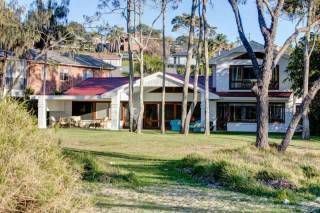 Your home is situated on the sand dunes with it own private pathway to the beach the above view is from your bench at NSW most incredible sea side town. 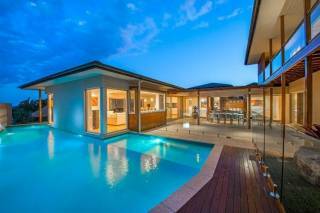 OnShore Beach House is an exceptional private Beach House situated just north of Coffs Harbour. If you desire a perfect family hoilday by the seaside, then this is the property for you. POSITIONED WITH ABSOLUTE BEACH FRONT ACCESS straight on to the warm sand (it doesn't get any closer or better...seriously)! ENJOY STUNNING OCEAN VIEWS from lounge, dining, kitchen, balconies, king bedroom and games room. 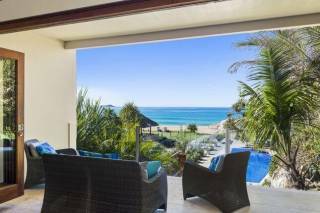 Unequivocally one of the best absolute beachfront holiday homes available for your enjoyment on the East Coast of Australia. Villa Kopai offers everything you've ever dreamed of in a holiday home. Sapphire Retreat is your home away from home, a private, luxury condominium with expansive ocean views, suitable for families, couples and business travellers. 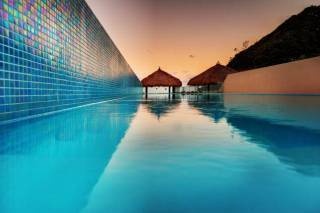 Guests have full use of the Nautilus beachfront boutique resort facilities during their stay. Shambhala is a sophisticated and contemporary 4 bedroom house offering total privacy, absolute quality and elegance. 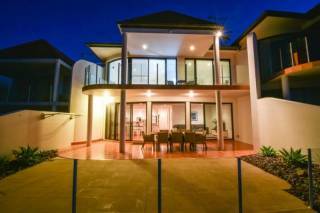 This architecturally designed home is only a minute’s stroll to Sapphire Beach, and just a 10 minute to drive to Coffs Harbour.